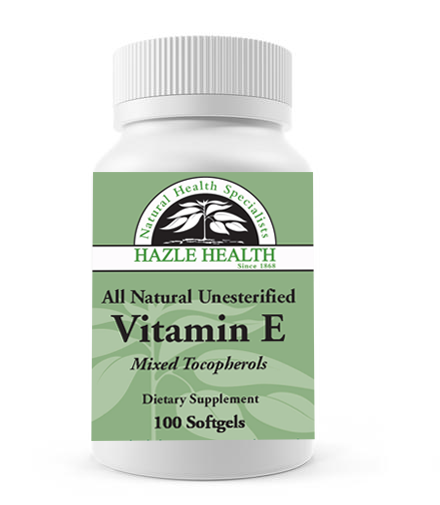 These naturally occurring tocopherols are the most active form of Vitamin E. Vitamin E is a powerful anti-oxidant and free radical scavenger. Our unique form of all natural unesterified Vitamin E helps to stabilize and protect cell membranes and tissues susceptible to oxidation including the skin, arteries, lungs and eyes. Unesterified Vitamin E also has a beneficial effect on cardiac and skeletal muscles. 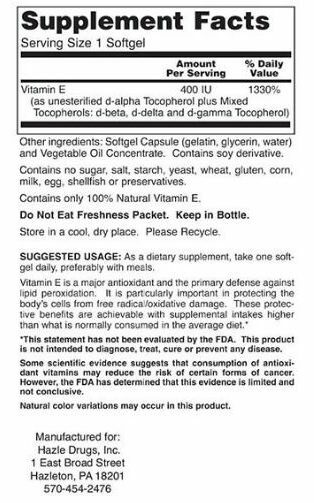 This product is dairy free, egg free, sugar free, kosher, Non-GMO and made without gluten.